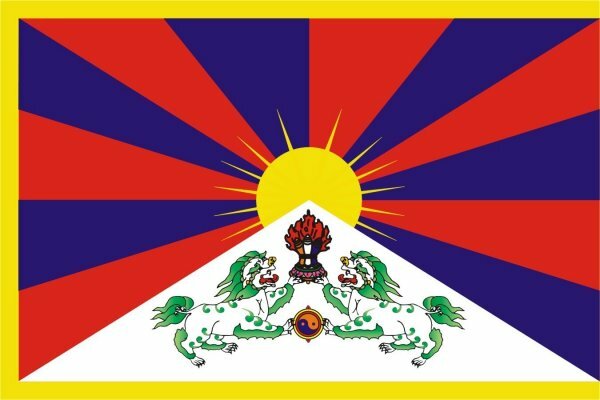 Despite a growth in repression and resistance in Tibet over the past 25 years, resulting from government policies banning freedom of religion and expression of culture, many Chinese remain unaware of the full extent of the situation in Tibet due to the Chinese Government’s manipulation of the media. Much has changed under Chinese rule over the last two decades in Tibet. Over the past 25 years in Tibet, repression has grown. But so has resistance. More than two decades ago, during two trips to Lhasa, I witnessed resistance to Chinese rule and heavy policing of the Tibetan capital. Today  as before, the Chinese government is attempting to control the region through arrests, censorship, nationalistic “reeducation” campaigns, restrictions on monasteries, and on occasion the use of lethal force. Of course, much has changed since I covered Lhasa in 1987 and 1988. The Han Chinese presence in the city has grown. A new railroad brings in more Chinese. Tibetans are now a minority in their own capital. The biggest recent surge of resistance on the Tibetan side has been a wave of 33 self-immolations by Tibetan protesters since late February 2009, with 31 of them occurring in the last year alone. The Chinese government has tried to discredit Tibetans who burn themselves to death by calling them criminals, terrorists, mentally ill, or losers in life. This propaganda is likely to succeed with Chinese who don’t have access to the complete story. But it is unlikely to work with most Tibetans, since many of those who have engaged in the extreme act of self-immolation have been monks and nuns who are respected in their communities. They are seen as sacrificing their lives for a greater cause. Some of the Chinese whom I knew when I was in China in the late 1980s felt that Tibetans were ungrateful for all the money that Beijing had pumped into modernization projects in Tibet. But most of my Chinese friends had never even been to Tibet. A conversation with a Tibetan monk in August 1988 seemed to sum up a reality that makes it hard for China to totally conquer this troubled region. Speaking with the monk inside the Jokhang Temple in the center of Lhasa, I played the devil’s advocate. I said that in some regards he and his brothers and sisters were probably better off as a result of Chinese economic reforms, new roads, and other modernization efforts. Inviting me to accompany him past a row of prayer wheels that he spun as we walked, the monk said that, yes, in some ways his family’s life had improved. But, he said, he resented the growing Chinese presence in Lhasa. Another monk who emerged from a corner of the Jokhang put it more bluntly. “We want the Chinese out of here,” he said. Everywhere I went in Lhasa at the time, both on foot and on bicycle, Tibetans asked if I had any pictures of the exiled Dalai Lama. Nothing seemed to be more valued as a gift by Tibetans. Here again resides an abiding truth: Admiration for the Dalai Lama and calls for his return to Tibet have not subsided. Chinese government attempts over the years to control Tibetan monasteries have exacerbated Tibetan-Chinese tensions. In 1995, the government offended Tibetans through a decision to disregard Tibetan tradition and impose a boy of the government’s own choosing as the 11th Panchen Lama, an important religious figure. And in 2007, the government went on to decree that it would oversee the official recognition of all reincarnate lamas, called Living Buddhas by the Chinese. The government’s ongoing campaigns to demonize the Dalai Lama appear in the meantime to have only strengthened resistance to Chinese rule. Religious freedom is not the only issue for Tibetans, and monks and nuns are not the only protesters. In recent years, attempts to impose the Chinese language as the main means of instruction in schools and universities have stirred anger and protests from Tibetan students. Tibetan nomads resent being forced to settle in permanent homes, and nomads have been at the forefront of a number of protests over the past few years. Rural Tibetans resent widespread mining, particularly when it takes place on land considered sacred. For them, pollution and the loss of forests is also an issue. Tibetan intellectuals have also grown vocal on these issues in recent years. So the Chinese security forces over the past several years have targeted the writers, artists, and singers who give a voice to many voiceless Tibetans. The Chinese government blames the Dalai Lama for the unrest in Tibet and for allegedly inciting the self-immolations. The Dalai Lama fled into exile India in 1959 in the midst of an abortive Tibetan uprising against the Chinese. That was 53 years ago. That new generation includes many who are now calling for independence from China rather than for the autonomy under Chinese rule that has been consistently advocated by the Dalai Lama in recent decades. Some of them are Chinese-speaking Tibetans. And that new generation includes a majority of the 33 who have self-immolated. Reporting from Tibet has become much more difficult than it was when I was there more than two decades ago. The government has blocked reporters attempting to reach locations where protests and self-immolations have occurred. But at least four foreign correspondents, by my count, have succeeded in clandestinely visiting Ngaba, a town in Sichuan Province where the Kirti monastery has been a focus of protests. According to an Associated Press reporter, Ngaba now looks like an occupied town. A further challenge for reporters has been to discover who these Tibetans are who have taken the extreme step of burning themselves to death. Fortunately, three correspondents have been able to piece together a profile of Tsering Kyi, a 20-year-old woman who burned herself to death in gasoline-soaked blankets on March 3. She has been characterized in the Chinese state media as a loser, someone who had nothing to live for. The official Xinhua news agency said that she suffered from fainting spells after hitting her head on a radiator. Her grades declined and she lost the courage to go on, according to Xinhua. But the profile that emerges from reporting by Barbara Demick of the Los Angeles Times, Andrew Jacobs of The New York Times , and Jason Burke of The Guardian provides a contrasting view. Relatives of Tsering Kyi told the reporters that she was healthy student who did well in school. At the same time, she was angry over an official decision more than two years ago to introduce new Chinese-language textbooks and restrict teaching in the Tibetan language at her school. The last thing the Chinese government is likely to want to emerge now is accurate profiles of Tibetans such as Tsering Kyi who burn themselves. Especially sensitive might be profiles that humanize the immolators by describing the respect with which they were regarded, as well as their anger at the government’s policies. According to reporting by the Tibetan exile website Phayul, Chinese officials told Tsering Kyi’s family members to sign a letter stating their her immolation was not political in nature. Efforts to intimidate the family members of other Tibetans who have burned themselves can be expected. And the power of the state to intimidate cannot be underestimated. In 1987 near Lhasa, I was able to get into a Tibetan monastery surrounded by the police by simply climbing over a back wall. When the police spotted me and a colleague trying to get into another monastery, we were able to outrun them on foot and then by bicycle. The police presence in Lhasa is now much larger and surveillance cameras are everywhere, even around monasteries. I wouldn’t be able to play cops and robbers with the police in today’s Lhasa. But amazingly international broadcasters such as Radio Free Asia have been able to get the story out today thanks to sources inside Tibet who provide tips through short phone calls, email messages and smuggled cell phone videos.